TravelPrice is more than a currency converter. 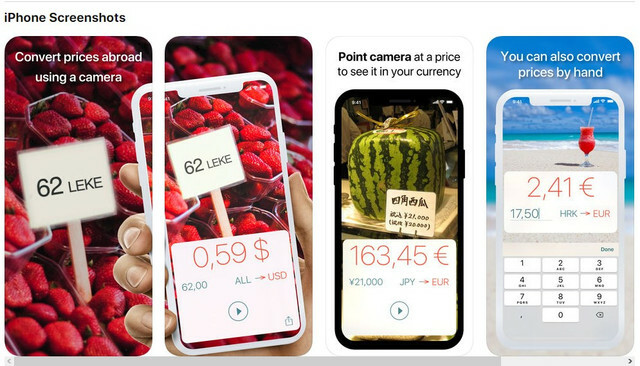 App uses augmented reality to recognize prices off the price tags and automatically converts amounts to your home currency. Enjoy beautiful well thought UX while you’re on the go. TravelPrice is powered by cutting edge proprietary number recognition technology to delight you every time you use the app. • Reads prices from price tags in major grocery and clothing chains across the globe. • Intuitive manual price conversion. • Works OFFLINE, no Internet connection required. Note: TravelPrice doesn’t recognize handwritten prices at the moment.